KINDLE EDITION - I PAY YOUR WAGES! 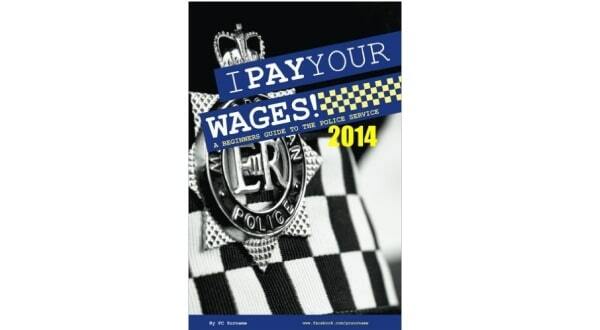 Get the Kindle Edition of I Pay your Wages Police Related Book! Check out the Amazon reviews! Police Discount Offers bring you another great read by a serving officer. Please read the Amazon reviews, there are loads of great comments which show how good the book has been written. Plus order the Kindle version today for under £2.40!! Occasionally frightening, but always exciting, PC Surname guides you all the way from application, through training, and on to what a new police recruit really gets up to out on the streets. Cross the police line for a unique, humorous and accurate insight into front line policing in the UK, whilst learning police powers, procedures and policies as you go. Featuring the latest legislation and information for 2012/13, this book is a complete and comprehensive guide for all those keen on a police career, as well as those with an interest in the police as a whole. In this book you will find light hearted – but brutally honest – explanations of Most Police Topics!